Our sins can separate us from God if we refuse to turn from them (Is. 59:2). When we choose to do things in a way that doesn’t line up with God’s way of life, we’re walking away from him. It’s unfaithful, like a wife cheating on her husband. But, unlike many human spouses who’ve been cheated on, God keeps asking us to come back. 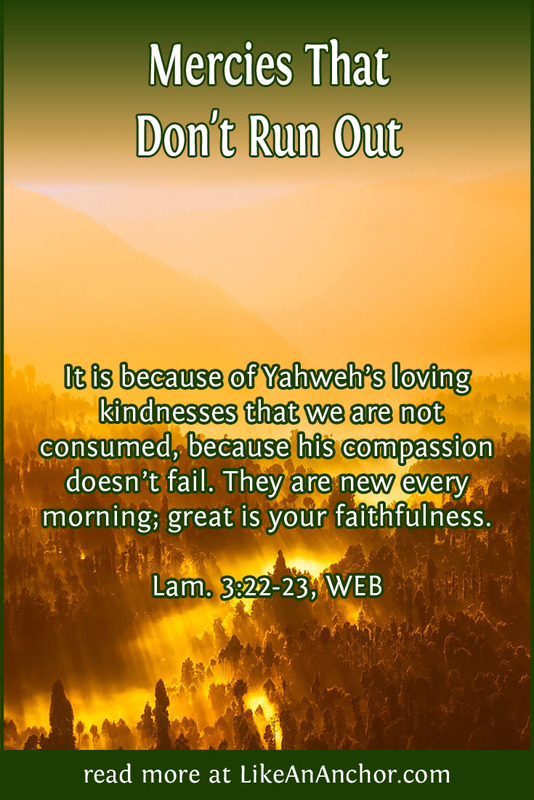 God’s loving kindness never leaves us. He wants us all to accept His mercy and choose life with Him. And He doesn’t give up on that goal. In fact, as we talked about in last week’s post, His loving kindness and goodness pursue us. We can be confident “that he who began a good work in you will complete it until the day of Jesus Christ” (Phil. 1:6, WEB). When Yahweh, to use God’s proper name (Ex. 3:14-15), spoke to Moses on Mount Sinai, one of the things He did was proclaim His name. In Hebrew thought, a name has to do with your reputation. When God “proclaimed Yahweh’s name” (Ex. 34:5), the words that go along with it describe who He is and how He wants to be known. 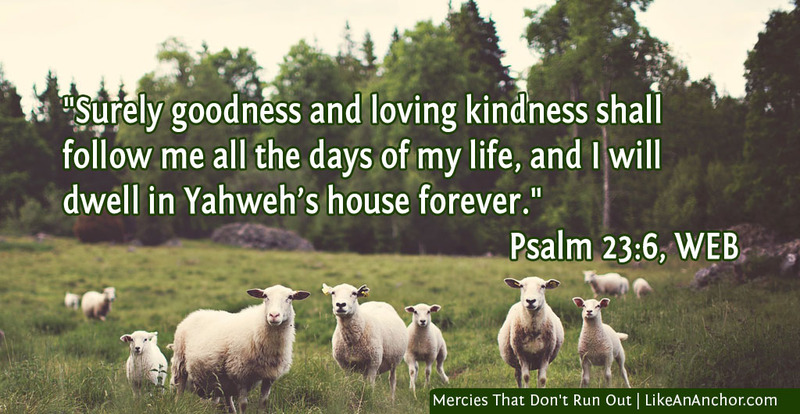 Even in the Old Testament, Yahweh was known for forgiveness, mercy, and loving kindness as well as justice. And now with Christ’s sacrifice, the guilty can be truly cleared so they are no longer under a death penalty. We have to repent, believe, and accept Christ’s sacrifice, and once we do that we enter a relationship with the Lord who is “not willing that any should perish” (2 Pet. 3:9, KJV). As a God of justice, Yahweh won’t let people get away with stubbornly continuing in sin. It is those who enter covenant with God and stay faithful to Him who enjoy His loving kindness, not those who hate and rebel against Him. However, as the writer of Hebrews said, “we are persuaded of better things for you, and things that accompany salvation, even though we speak like this” (Heb. 6:4-9). The fact that you care about God and want to follow Him matters. He will keep renewing His mercies and working with you as long as you keep coming back to Him. Part of walking in covenant with God involves becoming like Him. That involves developing His character, including being “merciful, even as your Father is also merciful” (Luke 6:36, WEB). As recipients of God’s everlasting kindness and His bountiful store of mercies, we ought to let what we have received pour out of our lives. We need to have the same character traits in us that we see in God, and treat others the way that He treats us. This is really good to continue to hear. Sometimes I can be not-so-merciful to myself. I can struggle with that, too. There’s no good reason to keep beating ourselves up for something when God has already forgiven us, but sometimes it’s just as hard (or even harder) to show ourselves mercy than it is to show mercy to others.